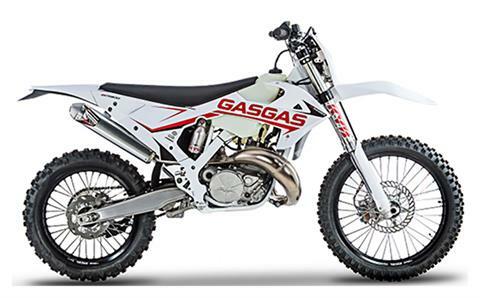 GasGas brings back the spirit of adventure of its legendary Pampera, adapting this go-anywhere bike to the demands of today’s riders with the ECRanger. 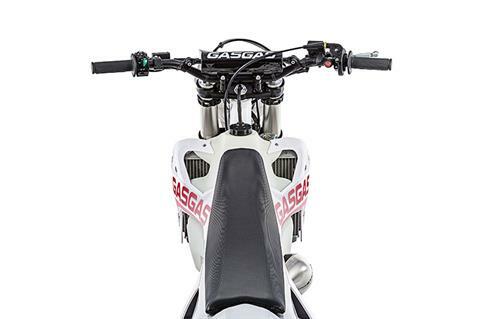 Light, docile and above all easy to handle, suitable for any type of rider, this is the bike from GasGas. The ideal formula for all those who love "light enduro" and "trail excursion" and want to enjoy off-road riding like never before without sacrificing the comfort of the generation of off-road motorcycles. ELASTIC AND PROGRESSIVE ENGINE RESPONSE: The ECRanger has been designed for having fun. And for that reason it has been decided to soften its delivery, adopting a thermodynamic performance and premiering a cylinder and cylinder head. Changes that have helped to decompress the engine and get a more full and elastic delivery at low speed. While at high revs its output has been limited, sweetening its power and providing that pleasant feeling of always having everything under control. A modern two-stroke engine that will be manufactured in two sizes, 200 and 300 cc and that will be coming off the Salt production line with an exhaust system from the company Tecnigas. With the frame and suspension, the design of this GasGas shows the deliberate aim for this model to become an enduro that satisfies the whole range of riders, thanks to its lower seat height and its excellent maneuverability. 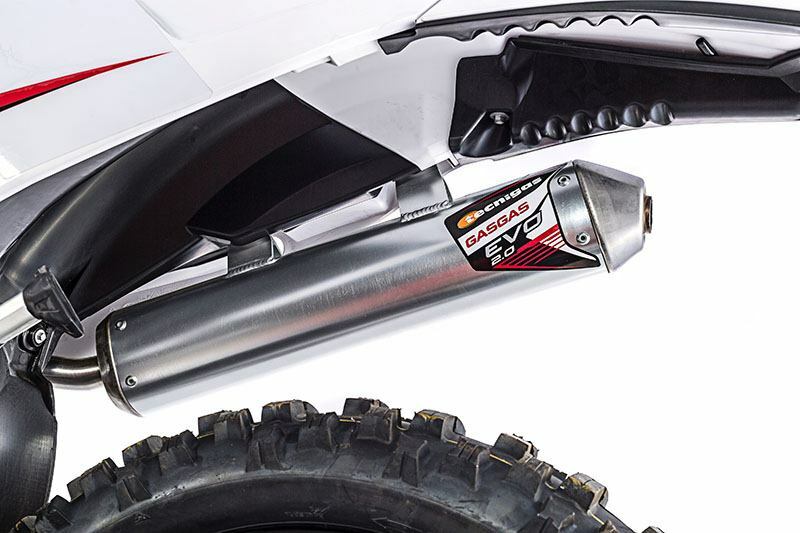 A height 40 millimeters lower than the range of EC models is achieved by redesigning the suspension. 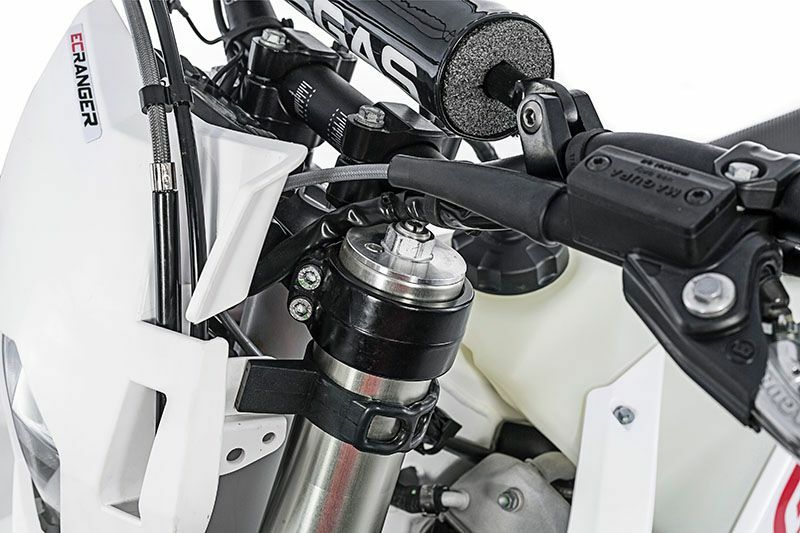 COMFORTABLE AND PRACTICAL FOR ANY USE: All these changes add up to a long list of components in the frame and suspension of the GasGas ECRanger. For example the comfortable, padded seat cover or the removal of the traditional kick-start of other models, starting now being taken care of with the electric start system with lead acid battery. QUALITY AND RELIABILITY IN EVERY DETAIL: In the suspensions section, GasGas maintains all its confidence in the renowned quality and reliability of the firm Kayaba, incorporating a front fork from the Japanese firm, this time 46 millimeters in diameter with open cartridge andcompression and rebound adjustment at the front; and the same adjustable rear shock absorber as used by the EC models, varying only in length, with preload and rebound adjustment. 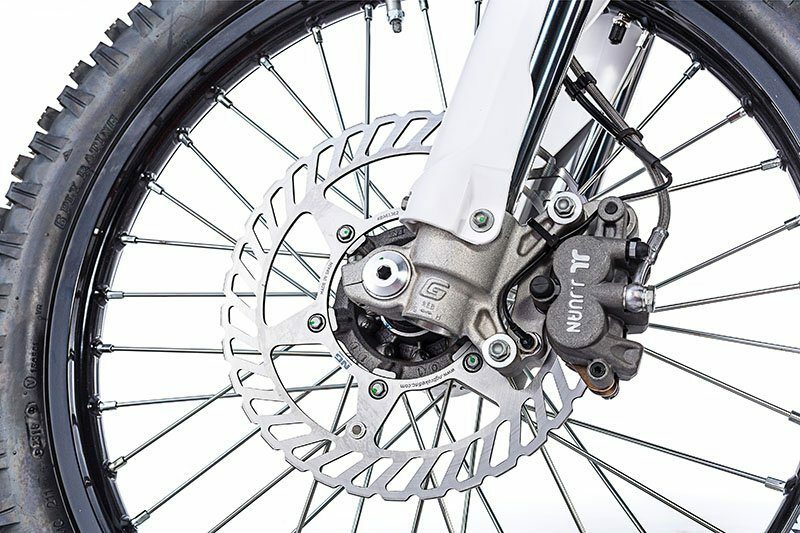 As for the braking system, the GasGas model uses NG brand discs - 260 mm front and 240 mm rear - and also brake calipers and pistons, a system developed exclusively by Braktec for this version. 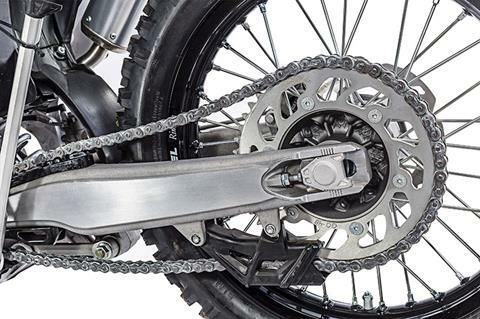 A parts specification that guarantees control, absorption and traction, deliberately added to by the true sensations transmitted by its 28.6 mm handlebar with central brace, the signature Regina -520/135 non-seal chain- and tires: Vee Rubber -90 / 90-21 front and 120 / 90-18 rear. 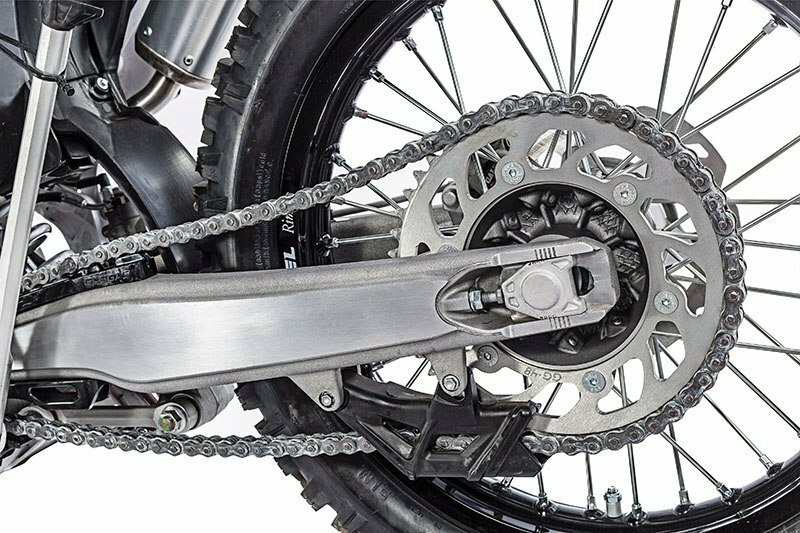 The tires are mounted on Excel rims providing extraordinary grip that will surprise even the most experienced enduro riders. Front - 90/90-21 VRM211F T.T.